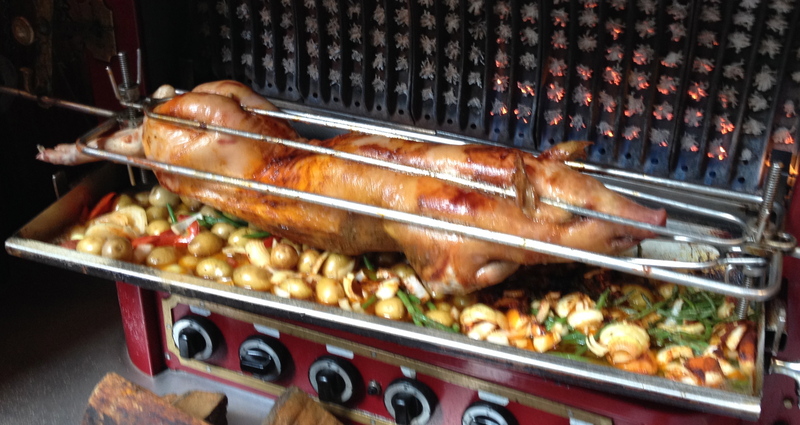 Suckling pigs have begun to appear on the rotisseries of Paris. I also saw a fresh porcelet at my local butcher. Could I fit it in the oven? Published: November 4, 2013 Dimensions: 2809 × 1491 Posted in: Paris Gallery Post a comment or leave a trackback: Trackback URL.